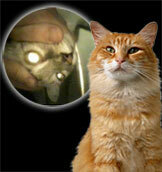 The VetScope System allows us to show high resolution images of procedures to our clients. This system can also be used to show how a disease is responding to therapy over time. Images can be frozen on the monitor for discussion and printed as a high resolution photograph. The VetScope can be used for a wide array of diagnostic and procedural applications, for example, dental exams, biopsies, radiographs, and laser surgery to name a few. 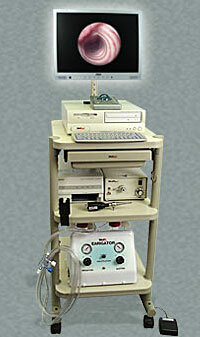 Image of the MedRx VetScope System used at Lakes Veterinary & Surgical Center and samples of the types of imagery the VetScope can capture for diagnostic and procedural applications. Visit MedRx’s website to view the short movies of the procedures shown below. Retina Scan (cat) and Ear Wax Removal (dog).